Come join the excitement! The Festival will feature an Italian Market offering a spectacular variety of wares and food. The day will be filled with live Italian music, bocce ball on the Greene, folk dancing, children activities, and more. 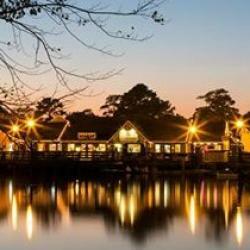 Historic Smithville offers 60 shoppes, 7 eateries, carousel ride, train ride, paddleboats, and arcade, on site lodging at the Colonial Inn and over 26 free weekend events.